For much of the 18th century, the building on this site, mostly used for opera, was the largest theatre in England, and the second largest in the whole of Europe. Though rebuilt since, its operatic roots can still be seen in a grandiose exterior that includes a turreted dome and the popular Royal Opera Arcade. The interior is equally plush, with marbled pillars, gold statuary around the stage and three tiers of luxurious boxes. It is hardly surprising, then, that Her Majesty's Theatre has been home to the great Gothic musical Phantom of the Opera for nearly two decades. There is no better setting in the West End for Andrew Lloyd Webber's tale of backstage skullduggery and doomed love. What are the best dining options near Her Majesty's Theatre London? Her Majesty's Theatre gyms, sporting activities, health & beauty and fitness. The best pubs near London Her Majesty's Theatre. Her Majesty's Theatre clubs, bars, cabaret nights, casinos and interesting nightlife. Where to have your meeting, conference, exhibition, private dining or training course near Her Majesty's Theatre. 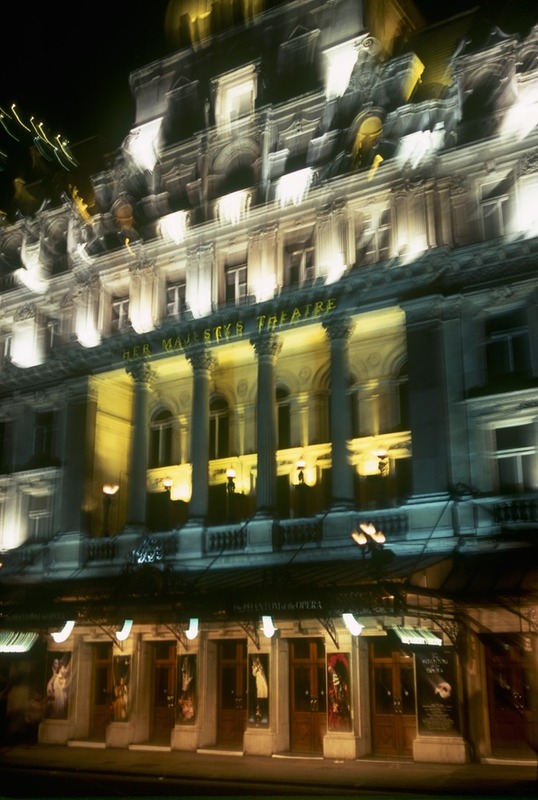 From cheap budget hotels to luxury 5 star suites see our discounts for Her Majesty's Theatre hotels, including Thistle Trafalgar Square, The Royal Trafalgar from 78% off.